The Alley Way Stamps: hehehe..
hehehe.. 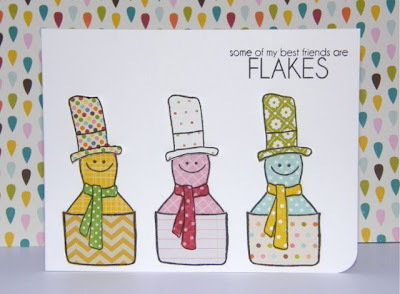 I love how Annette is not shy letting us know how a few of her friends are flakey Snow Much Fun stamp set. Don't you just love how she used so many patterned papers to create such a fun card..
Laurel has combined all of our sets on one cute little card. The Elephant is from Priceless Joy, the little Birdie is from Snow Much Fun, the Sentiment is from Jibber Jabber and finally the face on the balloon is from Kitchen Gadgets. I love how she stacked the bird on the elephant.. and how fun is that balloon? Another wonderful card for one of her Grade One students. Happy "BEE" Day. Lisa combined sets Priceless Joy and Jibber Jabber to make a punny Birthday Card. 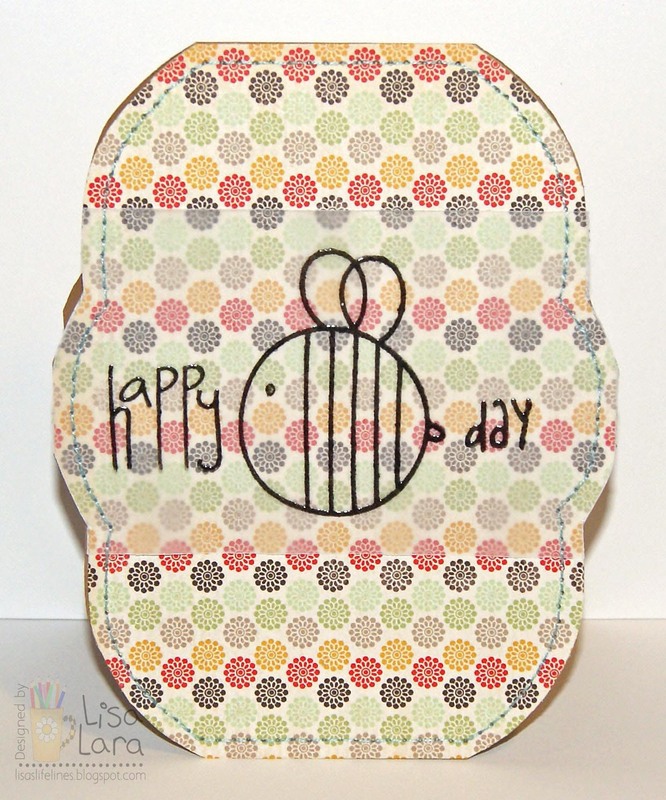 She heat embossed her images on Vellum and sewed the strip onto her card front for a frosted look. 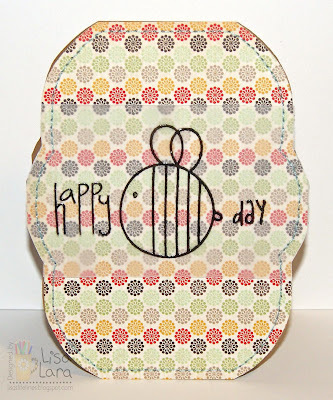 I love that adorable, fun, funky paper.. it's a perfect fit.. and the embossing brings texture to her amazing creation.. Very images... these designs are awesome. these are all adorable, alison!